We are engaged into manufacturing, exporting and supplying of modernistic Drive Isolation Transformer. The main task of our Convertor Duty Drive Isolation Transformer has been to withstand stringent electrical & mechanical stresses which are common in A.C & D.C motor drives. In the global market, our drive isolation transformer is known for its electrostatic shield which has been place between primary & secondary windings. 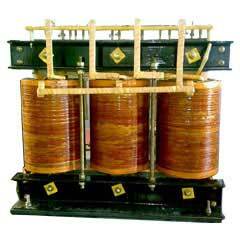 We manufacture these transformers upto 1000 KVA in dry type construction. Lastly, being one of the dependable manufacturers we sell Drive Isolation Transformer at the most competitive prices.